MÜNZENBERG FORUM BERLIN announces an art competition in three categories – Film, Photography and Collage. In each category, a prize money of up to 5.000 € will be awarded. A jury decides on its division among the winners. Often the future is already there, before we are equal to its challenges. A quote attributed to US author John Steinbeck. In addition to his famous sayings, Steinbeck succeeds in designing socially critical studies in his novels, including „Grapes of Wrath.“ Using the example of a farmer family, he shows the consequences of the Great Depression in the USA and paints a portrait of a society dealing with troubled times, in which the future is uncertain. Seemingly timeless, it fits in perfectly with our crisis-ridden present, in which changes take place that overexert and challenge our society on a political, social and economic level. In times of the revocation of international agreements, the adherence to the industrial prosperity idea, increasing migration due to trouble spots, mismanagement and the effects of climate change, the future has the potential to become both apocalyptically gloomy or utopian otherwise – a big bang. 100 years after the dawn of modernity and 90 years after its sudden collapse in the Great Depression, which began in the United States and ended in disaster in Europe, this year’s competition is dedicated to the hopes and expectations of the future in its contradictory relationship to its potential design. The MÜNZENBERG FORUM BERLIN expects submissions in the individual categories, which deal with/address today’s socio-political conditions and developments. Find more background Information about the competition. 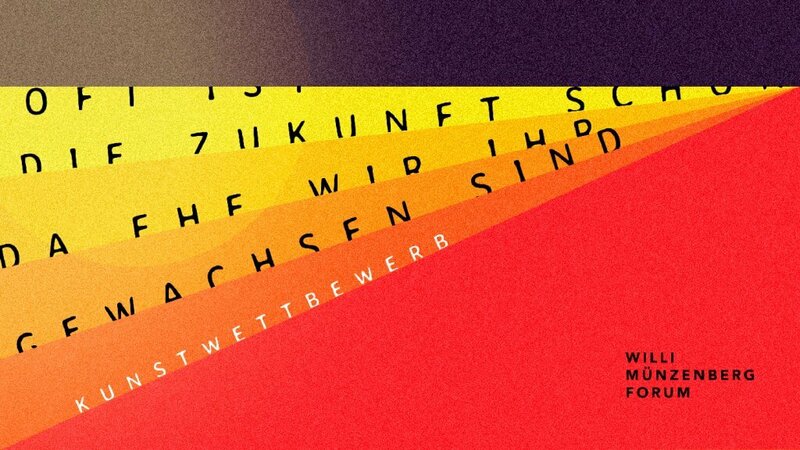 The photo competition is aimed at all photographers in Germany and abroad, who have not yet completed their forty years of age on 01.04.2019. Up to three individual images or a consistent series / reportage of up to 8 images can be submitted. 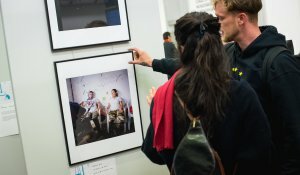 Please send your images in digital form directly to foto@muenzenbergforum.de or via fileshare platform (for example, https://wetransfer.com/) by 9 August 2019. The images must be submitted as high-resolution jpegs with an edge length (long side) of 3500 pixels. Please do not send PDFs! The application should also include: the title of the photos, the year of the creation of the pictures, an explanation of the work on a maximum A4 page with reference to the competition motto, a CV showing the artistic development. Please note that there is an extra competition for collages! 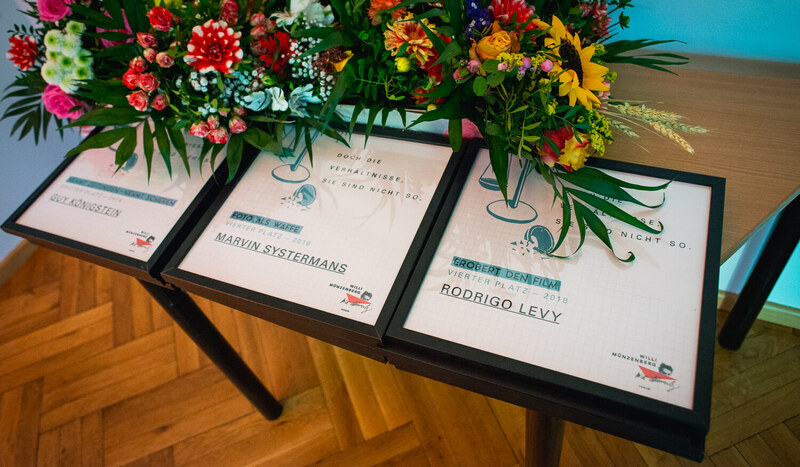 The film competition is aimed at all filmmakers in Germany and abroad, who have not yet completed their forty years of age on 01.04.2019. A film with a maximum length of 30 minutes can be submitted. Please send your film in digital form directly to film@muenzenbergforum.de or via fileshare platform by 9 August 2019. The film should have an HD resolution (720p or higher) with a 16:9 aspect ratio. Desired file formats are mp4, wmv, avi and mov. The application should also include: the title of the film and the release year, an explanation of the work on a maximum A4 page with reference to the competition motto, a CV showing the artistic development. The collage competition is aimed at all artists and designers in Germany and abroad, who have not yet completed their forty years of age on 01.04.2019. Up to three individual works may be submitted. 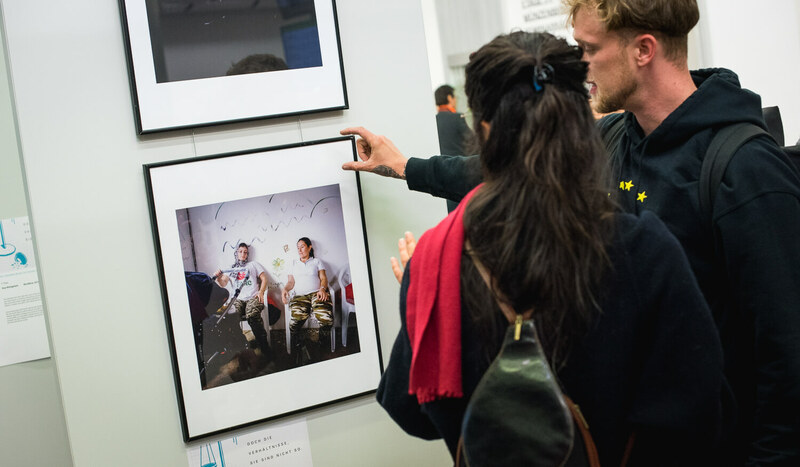 Please send high-resolution images of your works in digital form directly to collage@muenzenbergforum.de or via fileshare platform by 9 August 2019. Allowed are: any kind of (two dimensional) visual collage, i.e. image collage, photomontage. Excluded are plastic collages or montages and sculptures. The original works must be available for the exhibition period. The application should also include: the title of the works, the year of the creation, an explanation of the works on a maximum A4 page with reference to the competition motto, a CV showing the artistic development. 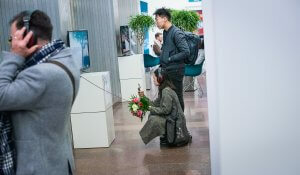 The winning pictures, films and collages will be exhibited in the foyer of the FMP1 (Franz-Mehring-Platz 1, 10243 Berlin) from 01 October 2019 to 31 October 2019. In addition, the entries of the winners will be published on the website of the MÜNZENBERG FORUM BERLIN for documentation. We reserve further publications within the framework of cooperations. 1) The artists participating assure that they own the copyrights on the submitted works (text/lyrics, image etc.). Furthermore they asssure that no rights to the submitted works and used material are held by third parties and that, in cases where individuals or enterprises are shown, no individual rights or corporate rights are infringed upon. 2) The artists participating release the organizer of all liability claims by third parties concerning the violation of copyright issues mentioned in paragraph 1. 3) The organizer of the competition respects the image and exploitation rights of the participants. By submitting the works the participant guarantees the organizer to publish/ and use the images of the submitted works and to exhibit the works free of charge in the context of the competition and the following exhibition. 4) Submitted contributions and data are stored for the purposes of the competition. They will not be passed on to third parties. 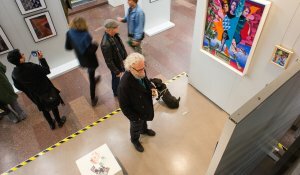 Participants who receive a prize money will be published on the web pages and social media channels of the organizer with their (artist) name and, if applicable, a web presence. 5) Post-submitted contributions can not be returned. 6) The legal process for the competition is excluded. Specified, personal participant data are stored, processed and used solely for the purpose of carrying out this competition and contacting the winners. This data is not passed on to third parties.